A 5.5-inch Retina HD display with 3D Touch. 7000 series aluminum and stronger cover glass. An A9 chip with 64-bit desktop-class architecture. All new 12MP iSight camera with Live Photos. Touch ID. Faster LTE and Wi-Fi¹ Long battery life² And iOS 9 and iCloud. All in a smooth, continuous unibody design. The world's most popular camera is more advanced than ever. The 12-megapixel iSight camera captures sharp, detailed photos. iPhone 6s Plus also takes selfies worthy of a self-portrait with the new 5-megapixel FaceTime HD camera. And it introduces Live Photos, a new way to relive your favorite memories. 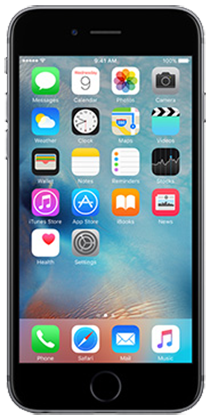 iPhone 6s Plus features LTE Advanced with speeds up to twice as fast as the previous generation. It supports more LTE bands than any other smartphone. PROCESADOR A9 chip with integrated M9 motion coprocessor.